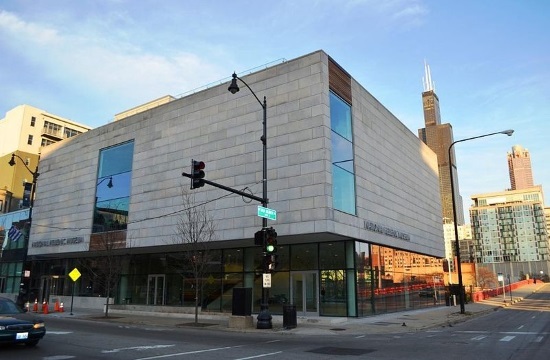 Chicago’s National Hellenic Museum will hold its annual Greek Independence Day Family Celebration on Saturday, March 23, featuring students performing songs, acting in historical plays, and reciting poems, all in Greek, according to greekreporter.com. The program includes each class in the NHM Greek Language Program performing a classic Greek dance. In addition to these wonderful performances, children and their families will have the opportunity to meet Hoplite soldiers and make arts and crafts inspired by Greek Independence Day. The festivities shall continue in the afternoon with refreshments, and Greek dancing, which will be open to all. On Thursday March 28, the Museum will host a “Rembetika Blues” evening with film director Mary Zournazi. “The Rembetika Blues” is a documentary film about the power of music and what it is that makes us human. Rembetika music, often called the “Greek blues”, is a music of the streets and a music partly derived from that of the Greek refugees from Asia Minor. Greek Australian Film Director Mary Zournazi will talk about the film. The mission of the National Hellenic Museum is to share the legacy of Hellenism, as well as to preserve the stories and honor the contributions to the United States of Greek immigrants and Americans of Greek heritage. For more information, please visit the NHM’s website by clicking here.